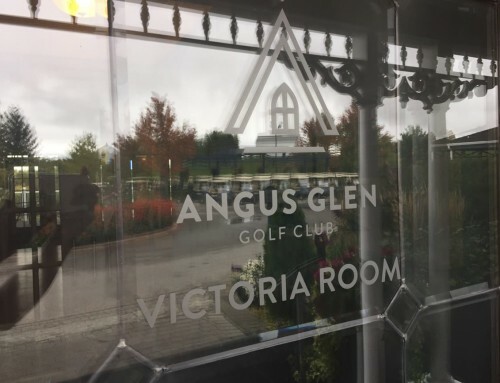 We’re back at Donalda Club. 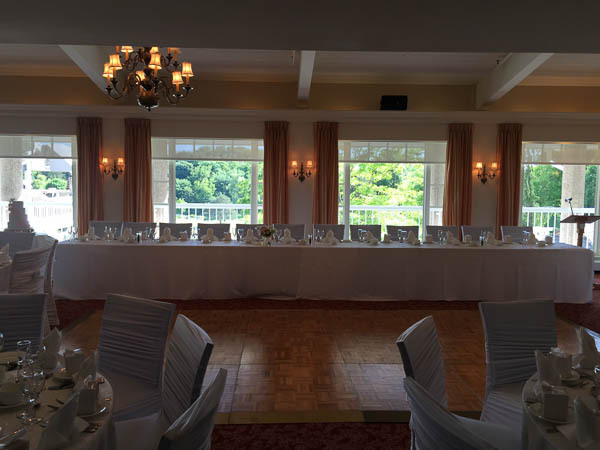 This is a prestigious golf and country club located in York Mills/Don Mills. 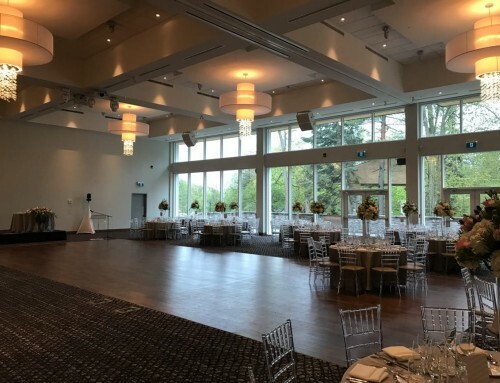 It’s a beautiful and convenient venue for a wedding. They also have a very attentive staff that help make a wedding flow as smooth as possible. 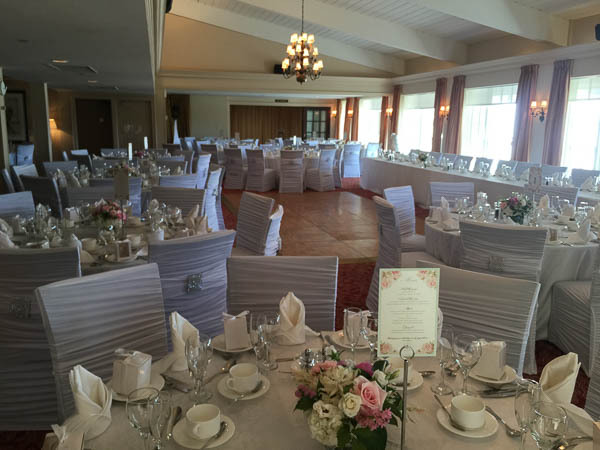 This Donalda Club wedding is for Patricia and Tony. 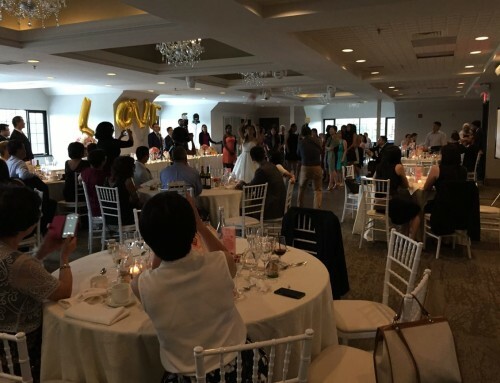 They had a larger guest count so we had to use an adjacent overflow room as the main dance floor. 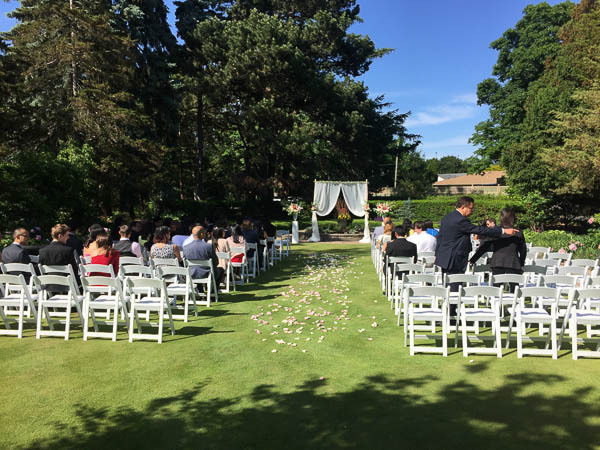 The wedding ceremony was done in the beautiful garden outside. A view of the head table here at Donalda Club. Ample space for guests at reception. 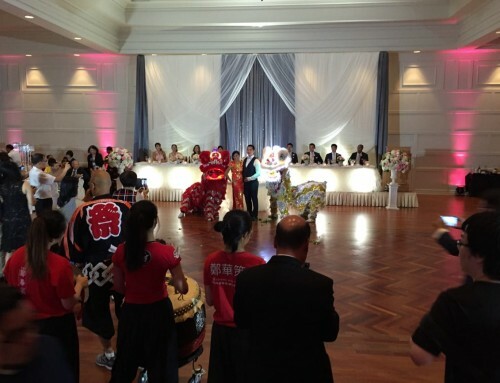 A smaller dance floor sits in front of the head table. 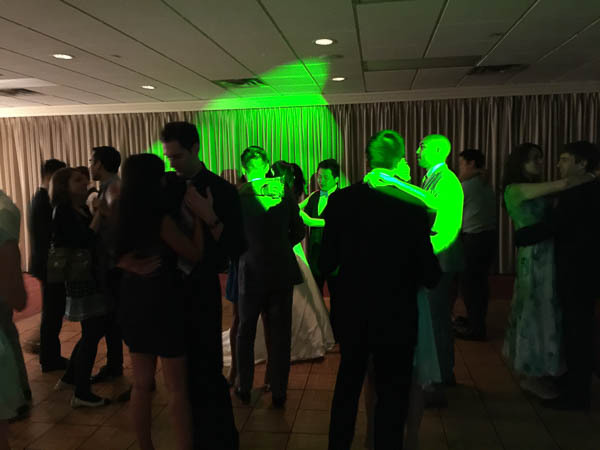 We would only use it temporarily since the main dance floor is in the other room. 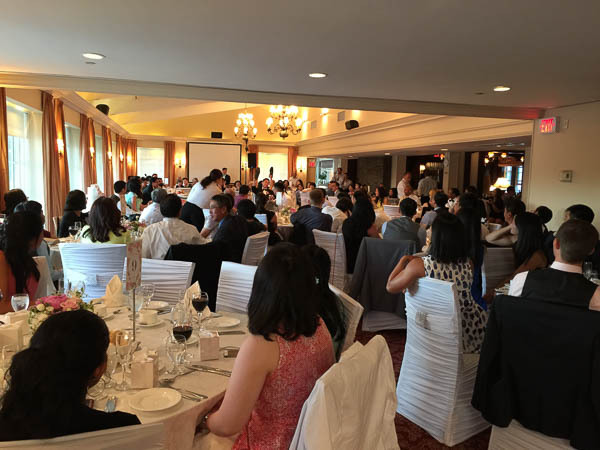 Chinese weddings are not complete without games. 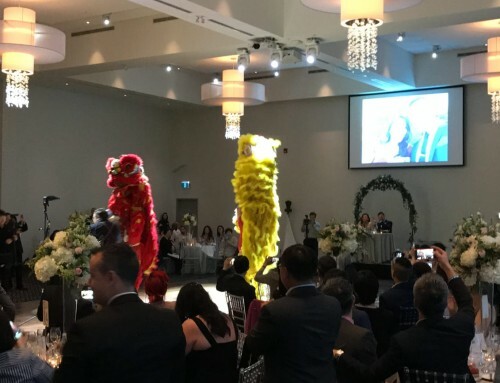 We had our evening’s Chinese Wedding MC host the shoe game. It’s time to dance! We kicked it off with slow jams since there were a lot of couples in the crowd.